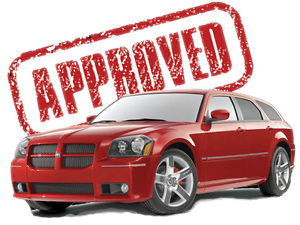 Raymond Campbell and his team of VSA licensed Finance Managers at DriveCo Motors a div of the Pioneer Auto group of companies are specialist in getting clients financed with new or bad or no credit. Thats all we do. We are the #1 lender in Canada for TD bank and # 2 in Canada for Scotia Dealer Advantage. We serve all of BC with no charge delivery. Many auto dealers consult with Raymond about getting their credit challenged clients financed. Raymond brings a wealth of experience to your next New or pre-owned Truck Car SUV or Van purchase. From finding the right vehicle at a competitive price to a finance or lease package. As you read these testimonials you'll get a sense of what to expect if you give us the opportunity to earn your business. Raymond have been in the automotive business since 1987. He was the top fleet and sales representative for Mazda in Canada. An accomplishment that no-one in Western Canada had ever achieved at that point. He has held the positions of Sales Representative, Sales Manager and General Sales Manager. He has co-owned a used car dealership in Surrey that specialized in clients with past credit problems. Raymond put his sales, management experience and schooling to work and became a financial advisor with National Bank Financial and then an Investment Executive with Scotia Mcleod. In 2002 he Co-hosted "Your Money Your Wealth` An Investment radio show on CFUN radio with Manny Bazunis and Vanessa Stenner-Campbell that ran 3 times a week. His passion for the classic cars the auto business brought him back in 2007. As your read the testimonials of clients who have dealt with Raymond or one of his staff, you will find a theme of clients being happy with their purchase and willing to refer their friends and family. His past experience means an easy painless purchase of your next vehicle. Give Raymond the opportunity to earn your business !!! Many of our clients come from all over British Columbia and Alberta. Simply put !! people would not drive down from Fort St John, Prince George or even Kelowna if we were not offering incredible prices and great service. Please give Raymond and his team the opportunity to fill your personal or business needs and go to Google maps for even more testimonials and see why we have a 5 star rating...... Thanks for your time.